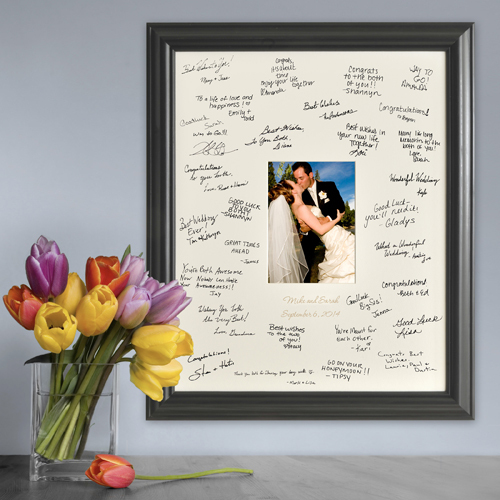 * A new spin on the old-fashioned guest book, the Personalized Laser Engraved Wedding Wishes Signature Frame puts their good wishes where you can see them. 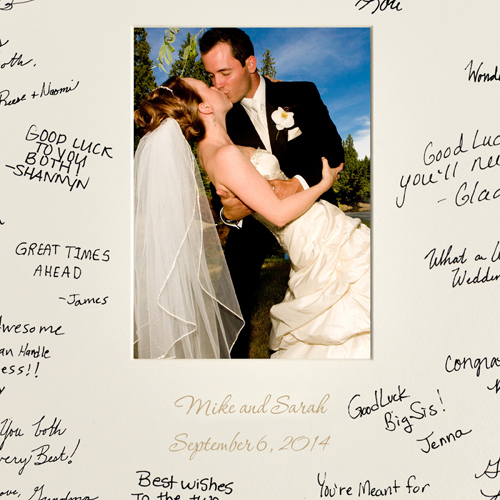 * Bride and groom's names and wedding date are laser etched into the photo mat. * Personalize with 3 lines up to 20 characters per line.